This winter has been brutal! It’s expected to drop to -15 tonight. I love to sketch in nature but just can’t hardly hold a pencil outside in these temperatures! Not to mention, Iowa looks a bit like a winter wasteland this time of year (I love you Iowa). 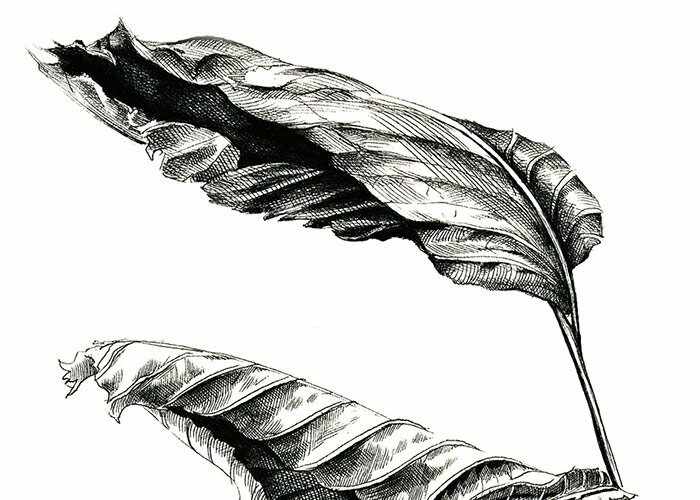 So… I’ve been drawing objects on my desk and crispy leaves that are blowing around on top of the snow. 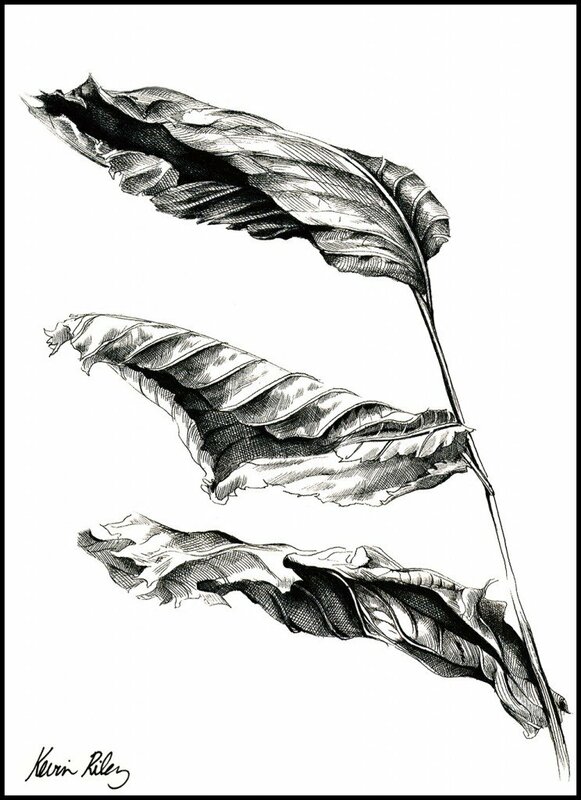 Here are some of my dead leaf studies. 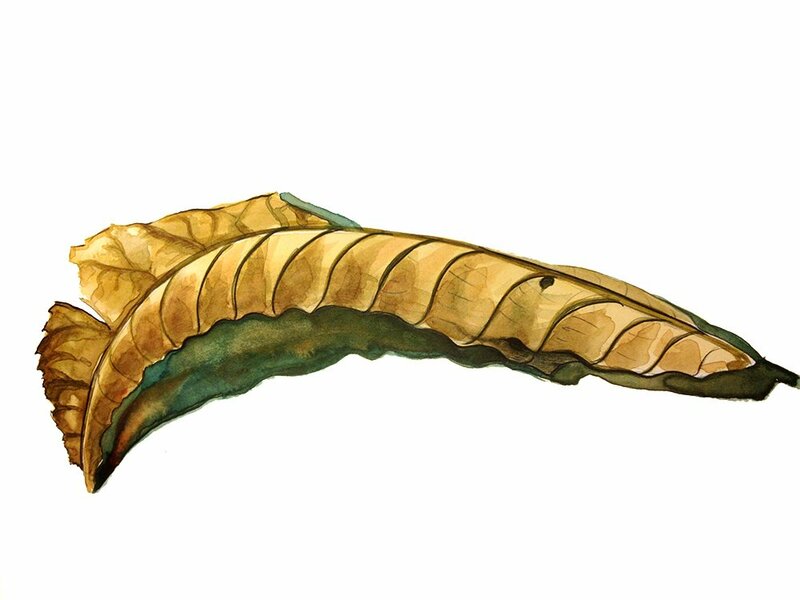 These 3 leaves came attached to a handy branch for easy study and display. I wish I still had the original leaves in a glass case. They were gorgeous. Love the spiraling veins of “dead” leaves. The dried skeletal remains accentuate the energetic flow that formed them, in a sense, making them appear even more animated and revealing more unique personality than was evident during their living days. 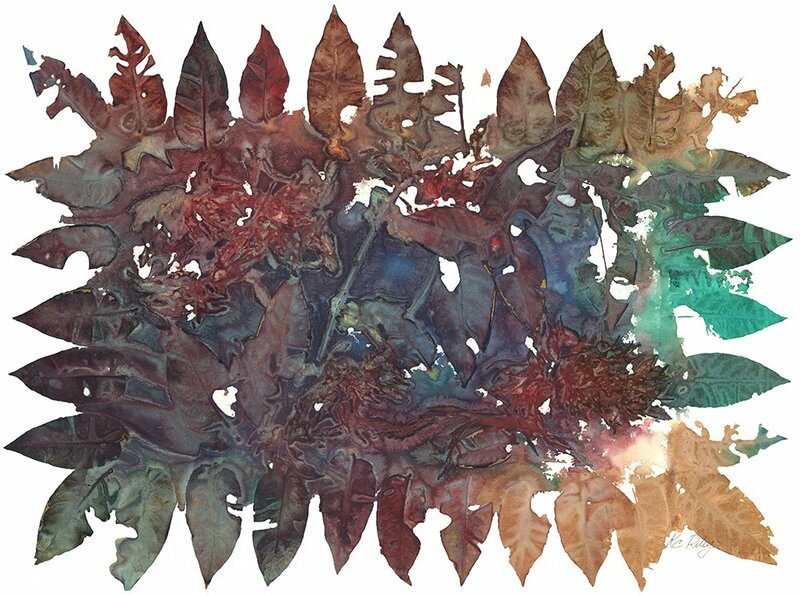 This painting was made by boiling leaves and then laying them on watercolor paper and pouring paint and ink onto them. I sometimes have to wait days for things to dry up enough to peel up the leaves and see what’s been created. I’ve ruined more than a few trying to rush the process with forced air and blow dryers.